An international move involves a lot of moving parts and, unless you’re familiar with all the details involved, it can turn into a task filled with frustration and hassles. That’s why you need to partner with an experienced international moving company—and no one has more experience than Liberty Movers. Since 1920, we’ve provided exceptional moving services, and our nearly 100 years of experience, along with our commitment to exceptional customer service, makes us the smart choice for anyone moving out of the country. For the most reliable, cost-effective, courteous Worcester international moving experience, call Liberty Movers. Not every international move is the same, so your IRC will tailor a move to meet your individual needs. Your shipment will be carefully tracked from the moment it leaves your current home until it arrives at your new destination. You’ll never have to worry where it is, because we can track it at any moment. If you don’t plan to bring all of your belongings to your new home right away, our storage solutions can help. We offer both short-term and long-term storage in our secure facility, so your items will be safe until you’re ready for them. Our services extend beyond the actual move! We’ll also help you gather information about the destination country including shipping regulations, schools, customs, climate, and much more! If there is an international move in your future, contact us today! Remember, the planning process for such a move can begin several months before the moving date. 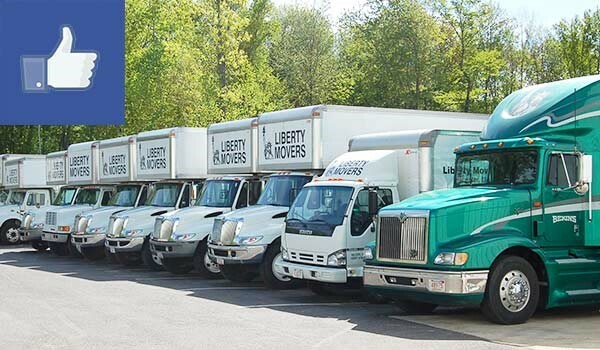 Give Liberty Movers a call today to learn about all of our services and to get a free moving quote from the most trusted Worcester residential movers. You can also fill out our online contact form to get started today!